A lake situated below 500m high vertical walls on most sides works as a cold air trap, which we found out early enough in the morning. As we packed up the camp and started heading out through the forest, we quickly regained the heat. Through the forest it was scattered snow-patches throughout, and we decided to ski. 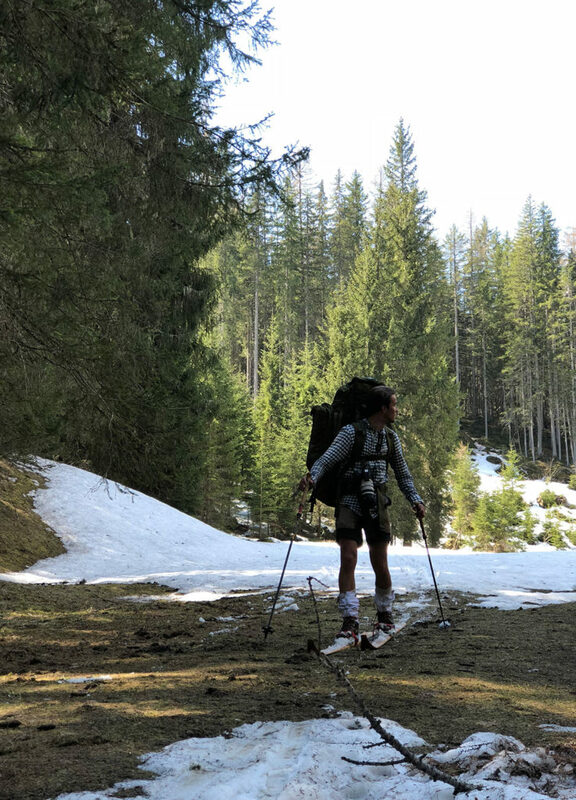 We quickly realized that our wooden skis also slide decently on grass and mud, and we ended up having great fun as we glide down the forest on all types of ground. 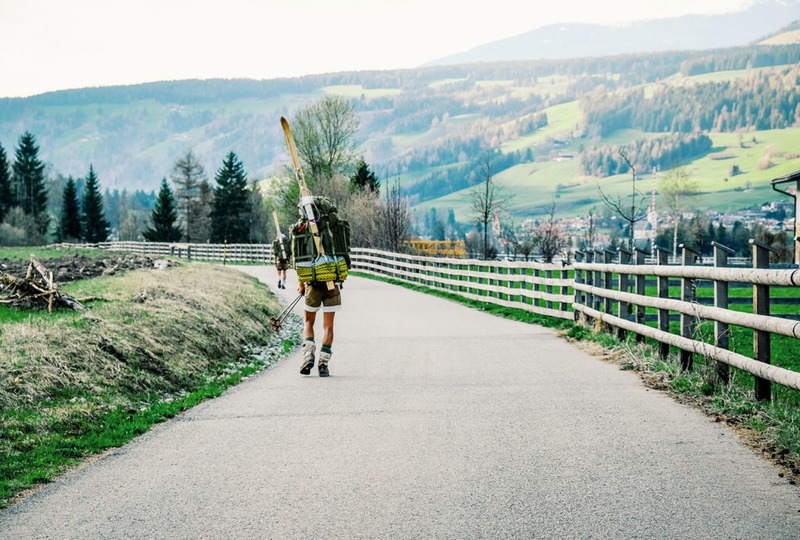 After a quick lunch in San Vito we started a new ascent up the steep green grass hills towards Möserhof, hoping to meet Heidi around the next turn. While hiking up it dawned on us that going down these hills on the other side could be cool to try some grass-skiing. We quickly found that the skis were slow on fresh green grass, but fast on the brown dry grass. So we started spotting for possible descents down towards Wellsberg. Several farmers came out with their binoculars to watch us ski down their grass hills – a new experience both to them and us. It proved both a lot of fun and efficient.